When you’re a Student Leader you have an exciting opportunity to not only get involved but to develop skills while giving back to the residence hall community. Each of the Student Leader positions within HRE are different and unique. Check out the positions tab to learn more about them and to determine which one(s) is the best fit for you! Administrative Services Student Leader position descriptions and applications are listed here for current and future opportunities. After completing an application, selected applicants will move forward to the next step in the process: an individual interview with staff. Come join our desk and mailroom team! Our Desk and Mailroom Assistants are positive, welcoming student leaders who help HRE feel like a home for our residents. They are the go-to for answering questions, tracking down packages, and helping locked out students. If you like to help others and work in a fun, friendly team, this is the place for you! Current openings: limited Desk Assistant shifts are open at the Peterson Heritage Center and Lassonde Studios and include overnight shifts. For more information on the position and to apply, please refer to our application. Now hiring! Housing Ambassadors (HAs) provide aid to students and parents in the HRE central office and are responsible for inventory management, providing excellent and informative customer service, and giving support when needed to other HRE staff. HAs work individually and as members of a team to support students, respond to concerns and inspire prospective students to be excited about living on campus. To apply to be a Housing Ambassador, please fill out the form below. For a full job description, please click the “Learn More” button. Outreach Housing Ambassador - Now Hiring! Now Hiring! The Outreach Housing Ambassador supports the Communications & Assessment Coordinator. This HA will provide specialized support to marketing and potential student recruitment efforts. The Outreach HA will assist with housing tours, outreach events, social media content, and more. HRE is currently accepting applications for a new Outreach HA to begin work in May. Fill out the form below to apply. Click the Learn More button for a full position description. Would you be interested in continuing in this job during the academic year? The Event Set-Up Assistant supports the Event Coordinator in day-to-day tasks. This part-time position is responsible for event service, client attention, and overall logistics of events. The IT Support Assistant will work with our information technology team to assist with various in-office tech needs. Now Hiring! The Graphic Design Intern supports HRE’s marketing team and works directly with the Communications & Assessment Coordinator. This position will work to execute department design needs at a variety of project levels. Projects are to include updating ongoing publications as well as ownership of creation of new designs for marketing/advertising purposes. This part-time position is ideal for a student seeking graphic design experience. Click the Learn More button for a full position description of this role. Fill out the form below to apply. After completing an application, selected applicants will move forward to the next step in the process : an an individual interview with HRE staff and Student Leaders. Individual interviews are specific to each position. You will have an individual interview for each position that you apply for. For example, if you express an interest in the DA and HA positions, you will have two separate individual interviews. If you express interest in only one position, then you will have only one individual interview. The individual interview is estimated to take approximately 30 minutes for each position. Once the application has closed, we will review the applications and offer interviews to selected applicants. If offered an Administrative Services Student Leader position, you will be asked to submit information (i.e. Social Security Number, date of birth) for a background check. You will also be required to complete a Federal I-9 Employment Verification form. Student Leader appointments are for the entire academic year. Candidates must be able to commit to a position for both the fall and spring semesters. 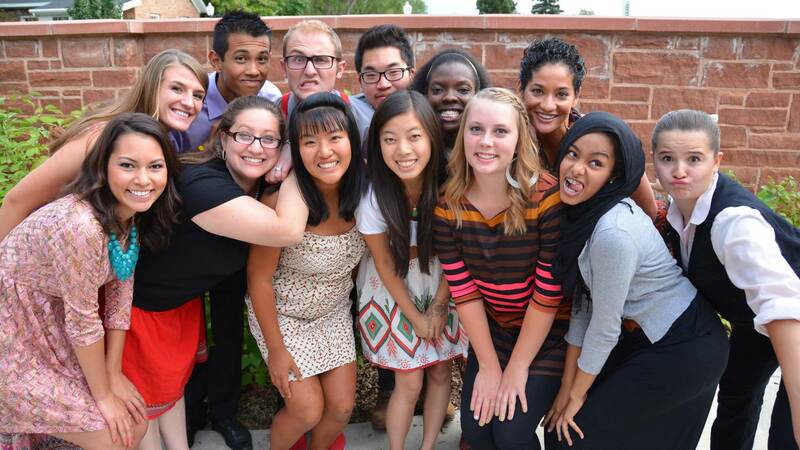 The Residential Education process includes Resident Advisors, Community Advisors, and Social Justice Advocates. The Resident Advisor, Community Advisor, and Social Justice Advocates application will open on November 16, 2018 and be due on January 18, 2019. All positions will require a resume and a personal statement. Please have these two documents ready to upload (in PDF form) when you begin the application. Please review the resume and personal statement requirements before uploading these documents. Please email slselection@housing.utah.edu with any questions or concerns. Prepare a current resume including; but not limited to: history of involvement, educational background, creativity and innovative practices, and/or a list of accomplishments you would like HRE to consider. For resources on resume building, please visit the Career & Professional Development Center. Please prepare a personal statement, maximum of 500 words, addressing the following: In Housing & Residential Education, we develop an inclusive and engaged community where all members thrive. We do this by supporting collegiate success, fostering a sense of belonging, promoting personal development, and stimulating civic engagement. Please write about how you would enhance our community based off these four learning goals. What excites you about joining this mission as a student leader and what experiences and skill sets do you have that will help us meet this goal? Below is the breakdown of our learning goals for clarification. Collegiate Success: Living on campus balances all the fun and excitement of college life with intellectual growth. We advance skills such as implementing study groups, fostering a community of academia, and maximizing campus resources. Culture of Belonging: In a culture of belonging, each member makes connections and sees themselves as a valued part of the university. An ethic of care supports all residents and emphasized groups that are historically left as the margins within the academy. Civic Engagement: Civically Engaged students commit themselves to the local and global community. We serve people regardless of differences through advocacy, restorative justice, and interpersonal relations. Personal Development: Holistic well being is imperative to success inside and outside of the classroom. This requires an increased awareness about oneself and interpersonal skills. Intentional and ongoing personal development prepares students for participation in a democratic society. The 2019-2020 Student Leader Application is now closed.